Killington (United States) (AFP) - Lindsey Vonn has had one major injury after another but she says shattering her arm in a training crash earlier this month was the most excruciating pain she has felt in her ski racing career. The winningest female World Cup racer in history severely fractured the humerus bone in her right arm during a training session on November 10 at Copper Mountain in Colorado. 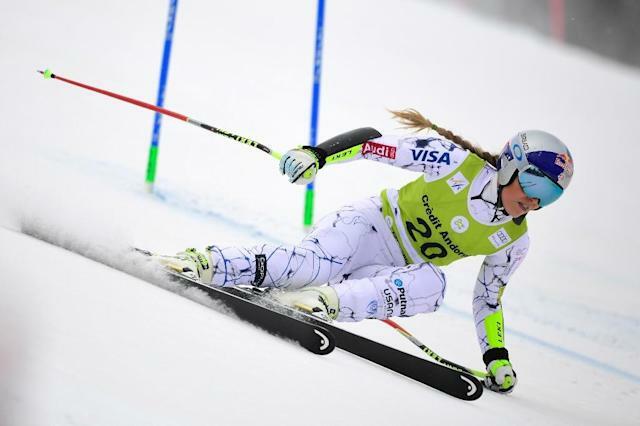 "It was by far the most painful injury I have ever had by a long shot," Vonn said. "I could feel my bone hitting together, hitting the nerves, it was brutal." Asked what was going through her mind when she was on the ground, Vonn said: "I thought are you kidding me, how do I keep doing this." Vonn was speaking in an interview aired by NBC on Saturday during the World Cup races in Killington, Vermont. Much of Vonn's success is a result of her fearless attacking style but she was surprised that such a serious injury came from a training run. "I try to limit my risks as much as I can but unfortunately it is a high risk sport, even when I am not pushing it, anything can happen. I accept that, but the last few years have been very tough." Indeed, this is the fourth time in the last five years a serious injury will limit her season. In the last three years she has had two fractures of her tibia, a broken ankle, a shattered arm, three torn knee ligaments and undergone two major knee surgeries. This latest major setback happened on the same mountain where she crashed three years ago and tore her anterior cruciate ligament which forced her to miss the 2014 Sochi Games. 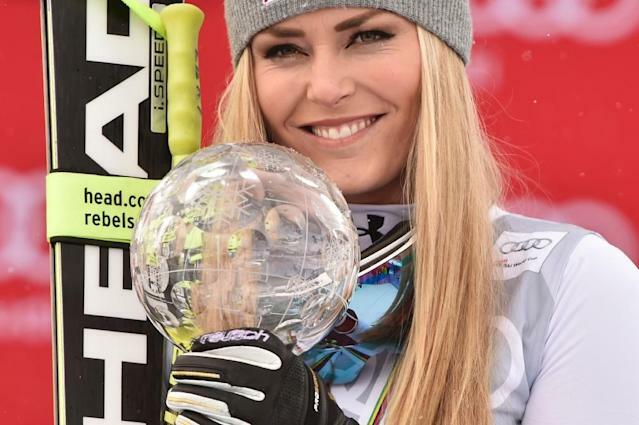 Vonn underwent surgery to repair the broken arm bone and she fully expects to resume her storied career which has seen her win 76 World Cup titles. But the 32-year-old American also admitted that retirement crossed her mind. "It's definitely starting, I wouldn't say getting me down, but frustrates me," she said. "I still love what I do. There is still a lot I want to accomplish. "I think if I didn't have the records (wins in World Cup) and the Olympics coming up I might retire. There is still a lot I want to accomplish and it keeps me going."